In this example the use of various histogram functions in ILNumerics are demonstrated. The results are plotted in a plotting form. Bar plots are created by means of regular visualization objects from the ILNumerics Visualization Engine. The form provides numerous buttons for switching between the individual histogram interfaces: regular histogram function, cumulative histograms and normalized histograms. 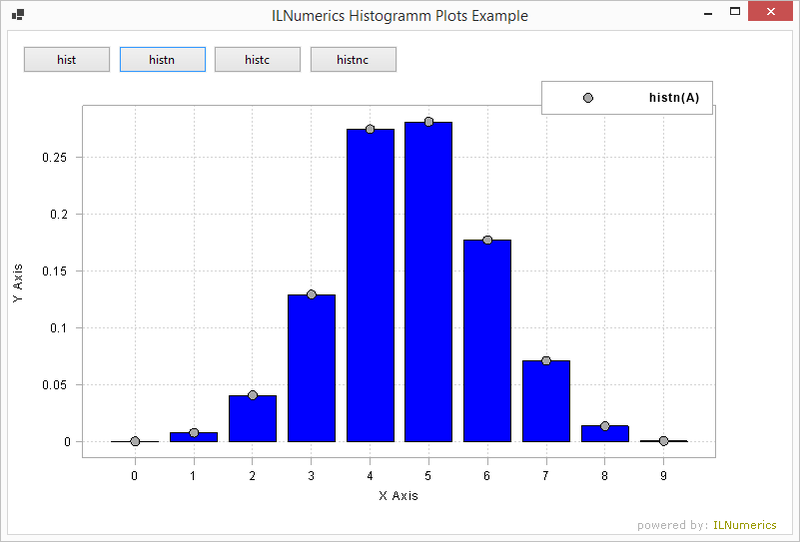 See the online documentation for histogram functions. See the reference (api) documentation for histogram functions: hist, histc, histn, and histnc.